I am excited to announce that I am participating in another of Aentee’s (Read At Midnight) reading challenges! I really enjoyed #TheReadingQuest, so I’m super excited that Aentee has decided to host another one. #ReadersCrossing started on December 10th and ends on December 31st. The challenge is structured around a bingo board, with a different task in each space (e.g. ‘graphic novel or manga’ or ‘book award winner.’) The more tasks you complete (so the more books you finish,) the more points you get. 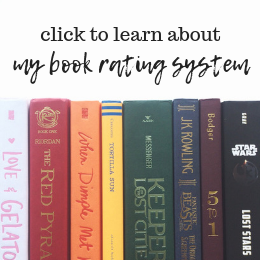 In this post, I’ll be sharing five books on my tbr for the challenge, as well as a bullet journal spread I designed to keep track of my points. I AM SO EXCITED TO READ NIGHTFALL!!! This is my current read and OMG I AM SO HAPPY I FINALLY HAVE IT. Waiting a year for a book to be released is torture. Arc! My wish for this got granted on Netgalley and it just made my day! I’m reading Maya Angelou’s memoir in school right now (and loving it!) and I think we’re going to finish it before winter break, so I’m including it here. Knowing me, I had to create a bullet journal spread for the challenge, so here are some photos! I have the bingo board, and then on the side I have the points system and a chart so I can log all the points I collect. Are you participating in #ReadersCrossing? What books are on your tbr for this month? Talk to me in the comments! I didn’t like Rules of Rain either so you’re not alone!🙈 It was a bit problematic with the autism rep too unfortunately. So excited that you got approved for Love Hate And Other Filters though!! I’m super keen for that one too, eeeep. Good luck for the challenge! 😉 It looks like a ton of fun.